All information, documents, communications, files, text, graphics, software and products available through the Site, as well as their selection and arrangement (collectively, the "Materials"), are protected by copyright, trademark, patent, and/or other intellectual property laws, and any unauthorized use of the Materials may violate such laws and this Agreement. Except as expressly provided herein or pursuant to a separate license agreement, Kudelski SA and its suppliers do not grant any express or implied rights to use the Materials. You agree not to copy, republish, frame, download, transmit, modify, rent, lease, loan, sell, assign, distribute, license, sublicense, reverse engineer, or create derivative works based on the Site or the Materials, except as expressly authorized herein. In addition, you agree not to use any data mining, robots, or similar data gathering and extraction methods in connection with the Site. The software and accompanying documentation that is made available to download from this Site is the copyrighted and/or patented work of Kudelski SA and/or its suppliers. Use of the software is governed by the terms of the license agreement that accompanies or is included with such software. Such terms are incorporated by reference herein. You will not be able to install or use any software that is accompanied by or includes a license agreement unless you agree to the terms of such license agreement. If you do not agree to such terms, you will not be able to use the software. Absent a license agreement that accompanies the software, use of the software will be governed by this Agreement. You agree that you will not decompile, reverse engineer, or otherwise attempt to discover the source code of the software available on the Site. "Kudelski Group Marks" means all names, marks, brands, logos, designs, trade dress and other designations Kudelski SA and its subsidiaries use in connection with their products or services. 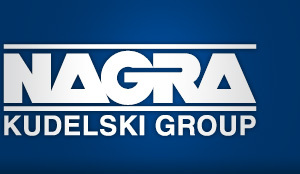 You may refer to products and services by the associated Kudelski Group Marks, provided that such reference is truthful and not misleading and complies with the then current Kudelski Group Trademark and Logo policy and Design Guidelines, which may be obtained by contacting Kudelski SA’s Marketing Communications Department at +41 21 732 0311. You may not remove or alter any Kudelski Group Marks, nor may you use the Kudelski Group Marks in any manner that is inconsistent with Kudelski SA’s ownership of such Marks. You acknowledge Kudelski SA’s rights in the Kudelski Group Marks and agree that any and all use of Kudelski Group Marks by you shall inure to the sole benefit of Kudelski SA. You agree not to incorporate any Kudelski Group Marks into any other trademarks, service marks, company names, Internet addresses, domain names, or any other similar designations without Kudelski SA’s permission. You agree to indemnify, defend and hold Kudelski SA. and its affiliates (collectively, the "Affiliated Parties") harmless from and against any liability, loss, claim or expense, including reasonable attorneys’ fees, related to your violation of this Agreement or use of the Site. UNLESS EXPRESSLY AGREED OTHERWISE IN WRITING BY KUDELSKI SA, THE MATERIALS AVAILABLE FROM OR THROUGH THE SITE ARE PROVIDED ON AN "AS-IS" AND "AS AVAILABLE" BASIS. KUDELSKI SA HEREBY DISCLAIMS, TO THE MAXIMUM EXTENT PERMITTED BY LAW, ALL WARRANTIES, EXPRESS OR IMPLIED (INCLUDING BUT NOT LIMITED TO IMPLIED WARRANTIES OF MERCHANTABILITY AND FITNESS FOR A PARTICULAR PURPOSE). THE MATERIALS AVAILABLE FROM OR THROUGH THE SITE, AND THE SITE ITSELF, MAY CONTAIN BUGS, ERRORS, TECHNICAL OR OTHER MISTAKES, INACCURACIES OR TYPOGRAPHICAL ERRORS, PROBLEMS OR OTHER LIMITATIONS. WE AND OUR AFFILIATED PARTIES HAVE NO LIABILITY WHATSOEVER FOR YOUR USE OF ANY MATERIALS AVAILABLE FROM OR THOUGH THE SITE, OR THE SITE ITSELF. IN PARTICULAR, BUT NOT AS A LIMITATION THEREOF, WE AND OUR AFFILIATED PARTIES ARE NOT LIABLE FOR ANY INDIRECT, SPECIAL, INCIDENTAL OR CONSEQUENTIAL DAMAGES (INCLUDING DAMAGES FOR LOSS OF BUSINESS, LOSS OF PROFITS, LITIGATION, OR THE LIKE), WHETHER BASED ON BREACH OF CONTRACT, BREACH OF WARRANTY, TORT (INCLUDING NEGLIGENCE), PRODUCT LIABILITY OR OTHERWISE, EVEN IF ADVISED OF THE POSSIBILITY OF SUCH DAMAGES. THE NEGATION OF DAMAGES SET FORTH ABOVE ARE FUNDAMENTAL ELEMENTS OF THE BASIS OF THE BARGAIN BETWEEN US AND YOU. THE MATERIALS AVAILABLE FROM OR THROUGH THE SITE, AND THE SITE ITSELF, WOULD NOT BE PROVIDED WITHOUT SUCH LIMITATIONS. The Site may now, or hereafter from time to time, contain links to third-party websites. We do not control such websites nor do we investigate, monitor or check such websites for accuracy or completeness. Accordingly, we are not responsible for the content or opinions expressed in such websites. We provide such third-party links only as a convenience to visitors of the Site, and the inclusion of a link does not imply approval or endorsement of the linked site by us. If you decide to leave the Site and access any third-party website, you do so at your own risk. Kudelski SA disclaims all warranties, express or implied, as to the accuracy, legality, reliability or validity of any content on any other site. The Site contains press releases and other information (collectively, "Information") about us, our business and our products, including links to third-party websites that contain such Information, which are being provided as a convenience to visitors of the Site. While all Information prepared by Kudelski SA was believed to be accurate as of the date prepared, we disclaim any duty or obligation to update any Information. Statements concerning companies other than Kudelski SA that are contained in any such Information should not be relied upon as being provided or endorsed by us. The opinions expressed in any Information prepared by third parties are solely those of the author(s) and do not necessarily reflect the opinion of Kudelski SA. With respect to Information contained in links to third-party websites, please refer to the section above entitled "Links to Other Websites." Except where expressly provided otherwise by us, all comments, feedback, information, or materials submitted to us through or in association with the Site shall be considered non confidential. By submitting such comments, feedback, information, or materials to us, you agree to grant Kudelski SA an unrestricted, worldwide, irrevocable license to use, reproduce, display, perform, modify, transmit, and distribute such materials, and you also agree that Kudelski SA is free to use any ideas, concepts, know-how, or techniques that you send us for any purpose without any compensation to you. However, we will not release your name or otherwise publicize the fact that you submitted such materials to us unless: (a) you grant us permission to do so; (b) we have a good faith belief that we are required to do so by law and/or in response to a subpoena or court order; or © we believe it necessary in order to protect the rights of Kudelski SA or others. You are prohibited from posting or transmitting to or from the Site any unlawful, threatening, harassing, libelous, offensive, defamatory, obscene, or pornographic materials, or other materials that would violate any law or the rights of others, including, without limitation, laws against copyright infringement, and rights of privacy and publicity.